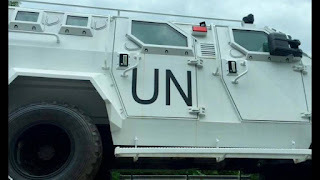 The United Nations is considered by many Haitians to be a criminal organization that has killed with impunity and now functions effectively as an occupation army. Since an unprecedented earthquake leveled the country in 2010, cholera has spread without mercy after Nepalese troops neglected to establish basic hygiene parameters. If the population of the Dominican Republic were as large as the United States, the number of dead just from cholera spillover would amount to five 9/11s, with the damage being felt as far away as Puerto Rico and Florida. If the President of the Dominican Republic weren't under the thumb of globalist forces, he could have lawfully waged a war to expel the United Nations from the island of Hispaniola, building a wall with Haiti and sinking with a missile any navy boat that approaches promising to bring "development" to the failed state. Sadly, the Dominican military is undermanned and under-equipped, so the government simply has to accept a United Nations occupation that has stunted the economic development of the Dominican people. If the drug war which has led to troops being deployed on Mexico's streets escalates and leads to the collapse of the government, President Donald Trump could very well find himself in a scenario similar to the one President Danilo Medina faces in the Caribbean: foreign soldiers mismanaging a neighbor nation and threatening national security. Although Mexico appears stable in most metrics, the number of narco-armies which have proliferated over the past decade now rival the central government in power and could very well orchestrate a successful coup against the democratically-elected government of President Enrique Peña Nieto, dominating through terror and placing men in power who adhere to a narco-cult. The spread of narco-beliefs among members of the criminal underworld in Mexico is at this stage in history so well entrenched that it would be difficult to uproot all the cults, potentially strengthening one and legitimizing it above all the others should the government go in pursuit of them as aggressively as a coup d'etat would require. Many national security experts believe that Mexico is on its way to collapse, and the Mexican people likely would not tolerate seeing North American troops, instead preferring United Nations uniforms on their streets, putting the world in a situation similar to the Cuban missile crisis, when the Soviet Union placed nuclear weapons in the Caribbean and threatened to set off the end of the world. 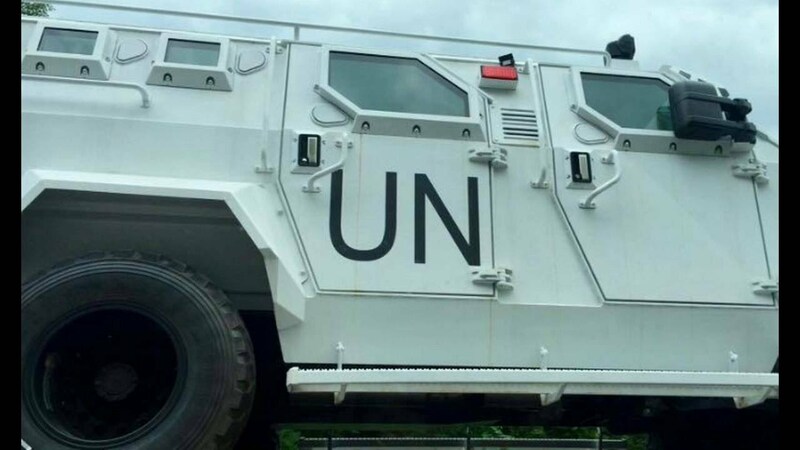 The United Nations represents a threat to the world and the precedents for unlimited occupation which it has established in Haiti make them a direct danger to the territorial integrity and wellbeing of the United States. The American people won't tolerate five 9/11s as patiently as a small island; it would be prudent to withdraw from the United Nations before the safety of the United States is irreparably compromised.